These 12 fun washi tape crafts are perfect if you are looking for fun and simple crafts which are guaranteed to look great! Washi tape is super easy to use making it excellent for decoration and crafting. It comes in almost any imaginable color and pattern which means you can get the look you want! 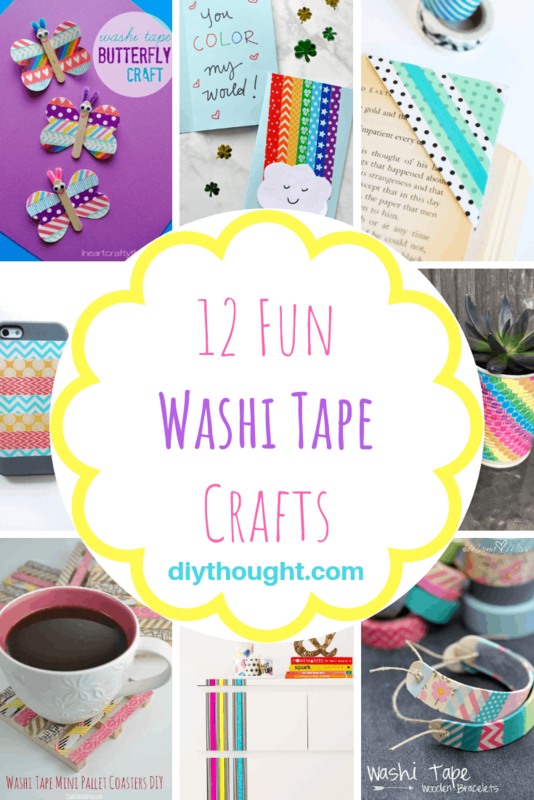 The 12 fun washi tape crafts featured today shows how versatile washi tape is. There is a range of craft projects for all ages, keeping everyone happy. 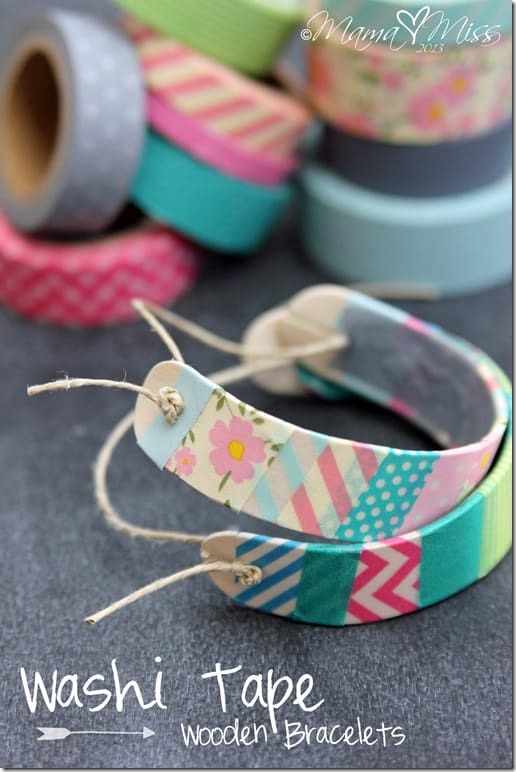 If you have a washi tape project you have done we would love to see it! 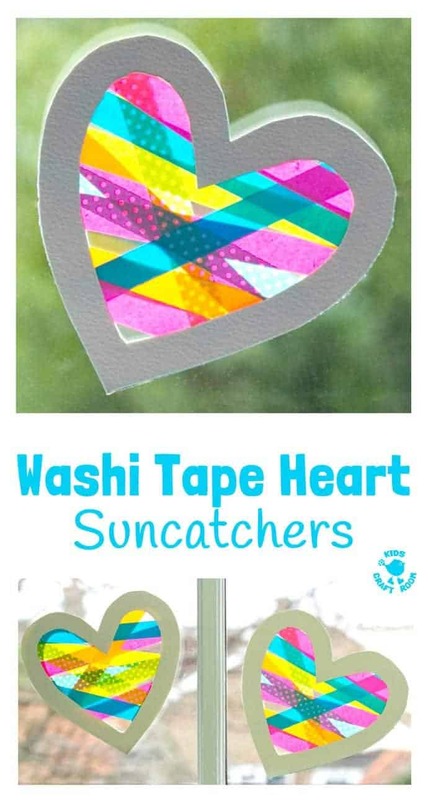 Wash tape art is a fun use of washi tape. Cut out any shape desired and decorate using different colored tape. Click here to read the full tutorial. 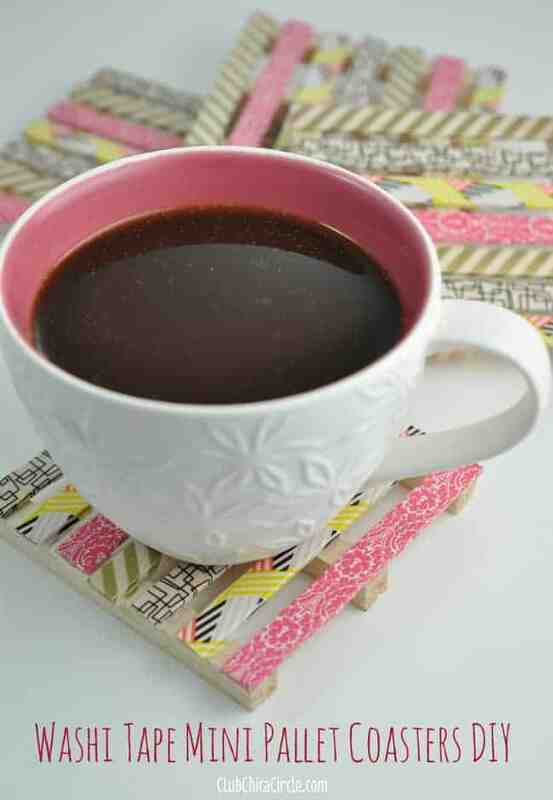 Mini pallet coasters are super cute and lots of fun with the addition of washi tape. They are made from craft sticks so no building is required. Click here to read the full tutorial. 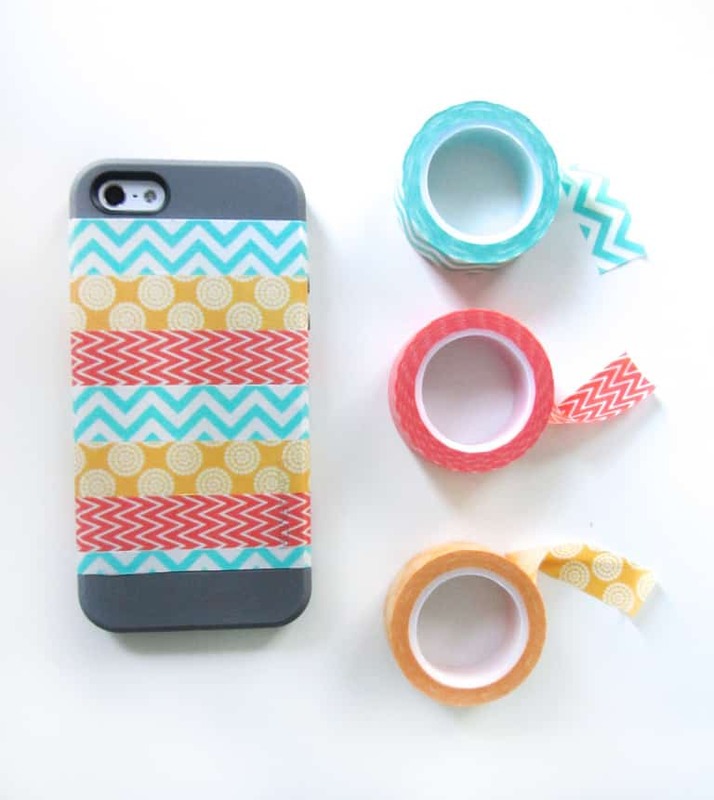 Use washi tape to update your phone cover. This is a super easy way to transform your phone! Follow this link to find the full tutorial. 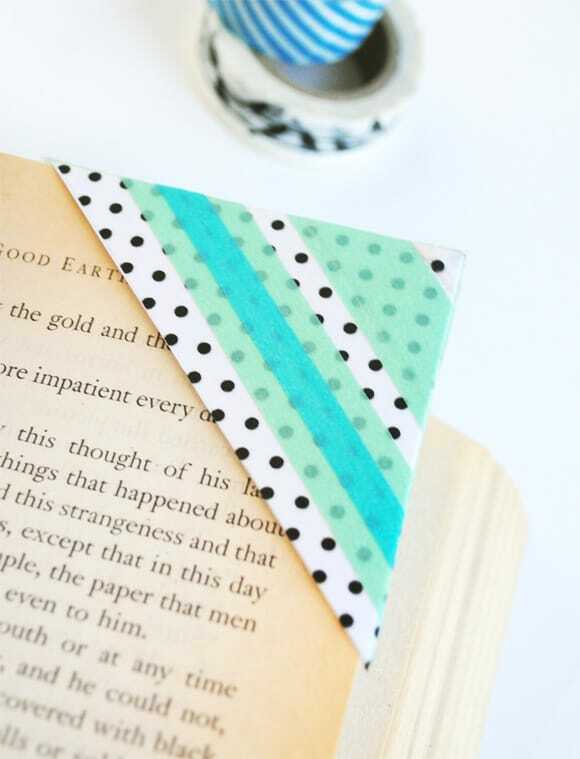 Use an old envelope and washi tape to make an awesome corner bookmark. No more folding corners of the book! Click here to find out more. Ordinary furniture can be transformed easily with washi tape. 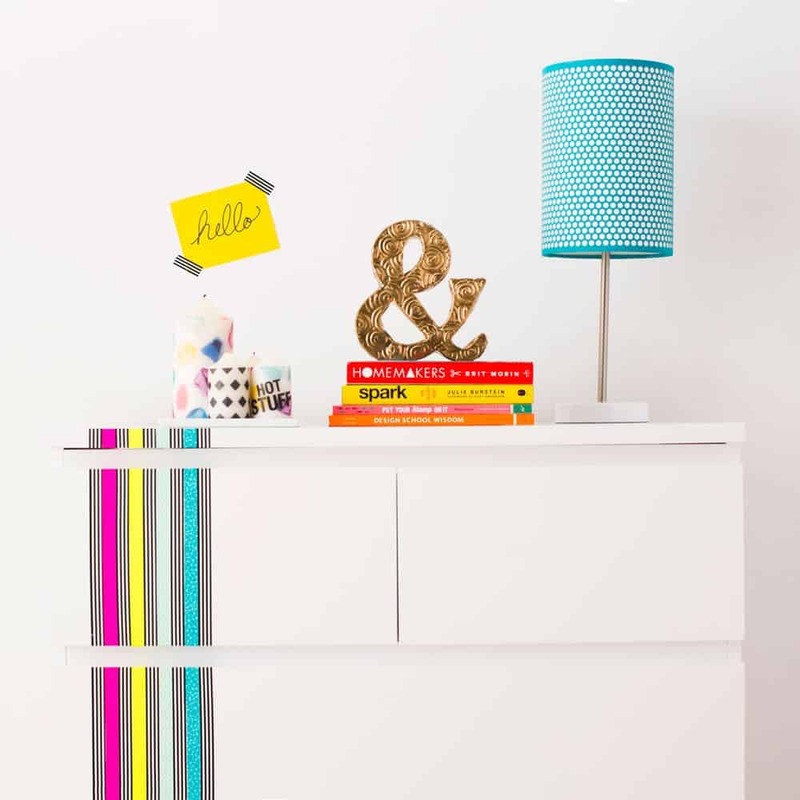 We love this white dresser and the washi tape pop of color! Find out more here. 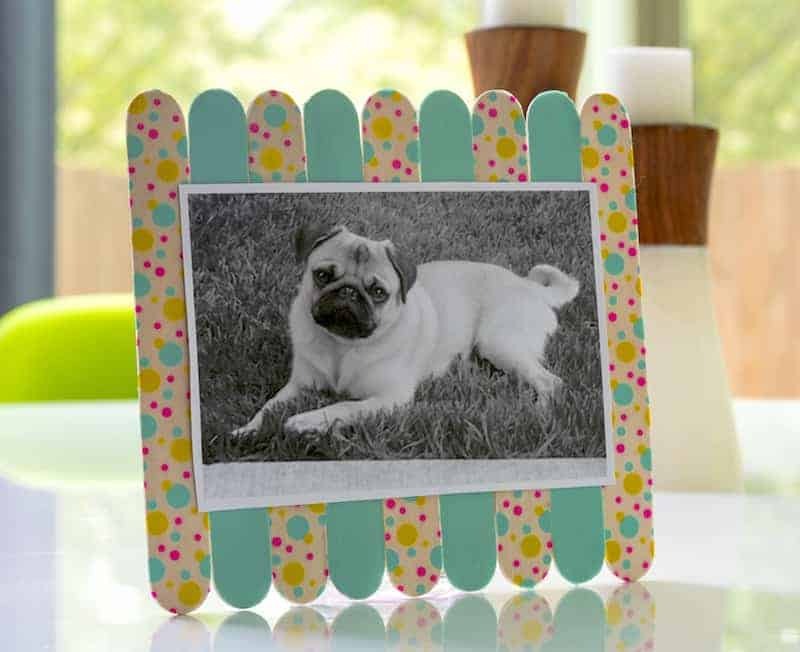 Make a popsicle stick photo frame to display your photos! This is a cool way to add some color around to a room. Follow this link to find the tutorial. 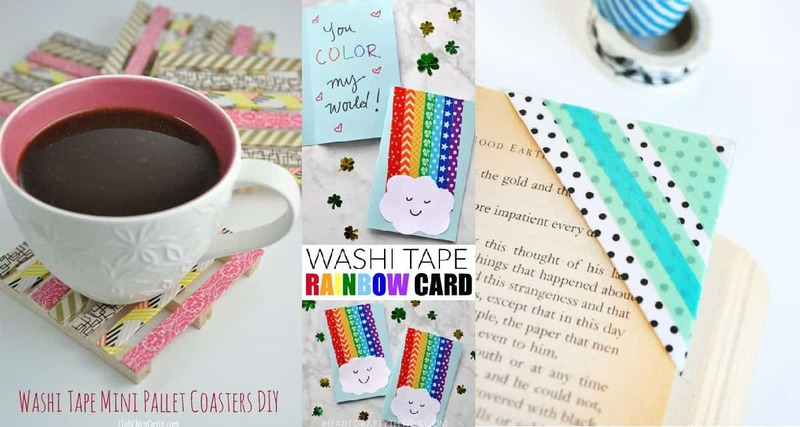 How cute is this washi tape rainbow card! 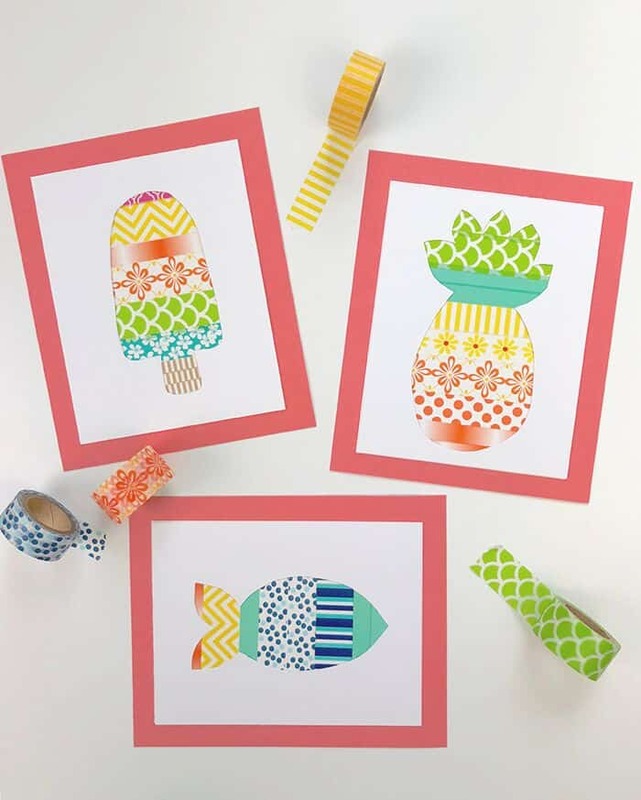 Kids love working with washi tape as it is so easy to get an amazing look. Head over to I Heart Crafty Things to read the full tutorial. We love taking items that are set for recycling and transforming them into beautiful and useful pieces. 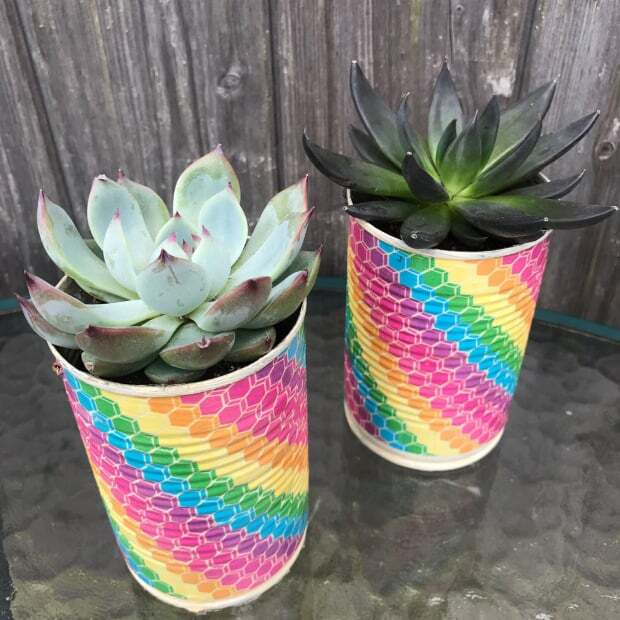 This stunning planter has been made from old cans and washi tape! Make one or make many, they make a great DIY gift! Click here to read the full tutorial. 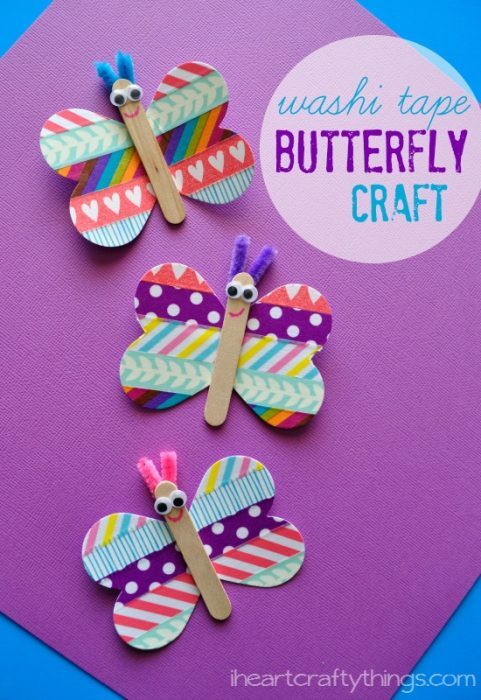 Kids of all ages will love making these fun washi tape butterflies! Follow this link to find out more. Children will love making their own one-of-a-kind jewelry! Click here to read the full tutorial. These washi tape magnets and clips are adorable and very useful. Visit Girl In The Garage to find out more. We love suncatchers! Using washi tape is a great idea that kids will love. Click here to read the full tutorial.